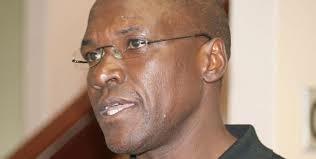 Kakamega Senator Boni Khalwale’s car was involved in an accident on Saturday in which a woman was killed. Police reports say that the woman was hit at Nabkoi Junction along the Eldoret-Nakuru highway. Khalwale’s car, which had its headlamps broken, is being held at Tarakwa Police Station following yesterday’s accident. Eldoret South police chief Esther Muhoro said the senator’s driver had already recorded a statement and the police are investigating the matter. David Mutai who witnessed the accident, said, “We ordered the car to stop only for the driver to come out. but he sped off after a crowd gathered at the scene.